Shore Watch is a scheme started on a trial basis in January 1995 under the current title. It was operated without a title from about 1986. The title was chosen by John Dawes and Andy Horton. The object of the scheme is to record wildlife on the seashore around the British Isles. The results will be published in the marine wildlife journal Glaucus and in computer database accessible by contributors and the public for a nominal charge. The British Marine Life Study Society are interested in reports of marine life in the seas and on the shore from around the British Isles. Report Cards are available on the BMLSS (England) web site. They can be completed in ink, or best by using Netscape Composer or another HTML authoring package. Guidelines are available. Please do not guess the information, it is better to leave the entry on the form blank. 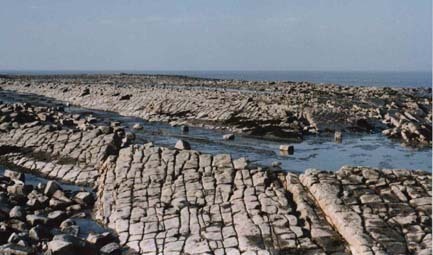 Report Forms were first printed for general use by rockpoolers in 1993 (Glaucus Summer 1993). The idea is to give some idea of the information required for articles in BMLSS publications and for accurate biological recording. It is important not to guess any of the information: it is better to leave the spaces blank. Over the years the forms have undergone tests of their suitability. The basic information required remains satisfactory even with the biological recording initiatives planned for the 21st century. Looking back on a few old records it is frustrating when a species is described as 'common', or even more infuriating by 'not uncommon'. This is always a subjective assessment and unless numbers are given or a common standard is adopted the assessment of the abundance of a species is rather vague, and may not be useful at a later date. For articles in BMLSS publications, we like to use the ACFOR system. However, a new more detailed ACFOR system has been developed which may be used from year 2000 onwards. If the British government was really serious about the environment they would fund a system of biological recording, with the records accessible to the public. If subscribers to this forum wish to report interesting discoveries between the tides, they can load the information up directly onto the New Millennium Shorewatch Project on the Smart Groups British Marine Wildlife database. The menu is horizontal at about eye level across the page. Click on database and then look for Shorewatch Biological Recording. The records can then be added. When the records are read they may look better at 1024 x 768 resolution instead of my normal 800 x 600 (Adjust Display Properties under Windows). A single record has already been entered. If you have got a lot of records, too many to be entered on-line, there are alternative ways of storing this information electronically. Please enquire. The same applies to records pre-2000. If the record is particularly interesting, enquirers may ask for more information. I am still waiting for Recorder 2000 to see how this fits in with recording on the shore zone. I have NOT prepared a similar system for sublittoral (undersea, below low tide) recording, as this is the prerogative of Seasearch, and any foreign initiatives. There is an overlap because if writers are using the old standard system, confusion could occur. 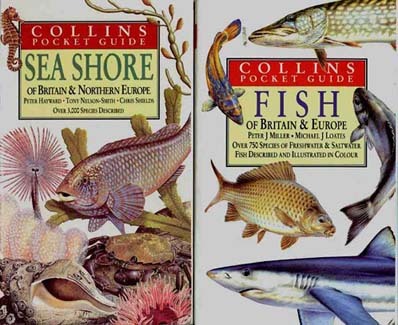 This should be overcome by the new Collin's Guide to the Seashore, although there will always be tricky identifications of species that are similar in appearance to each other (e.g. sea anemones, spider crabs, gobies). Current marine species record collections in the UK and suggestions for links to future national schemes.